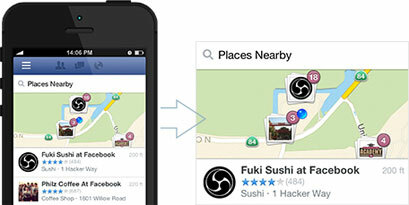 Use Facebook WiFi to let your customers ‘check in’ to your business facebook page to access WiFi. It is a great way to raise the exposure of your business! 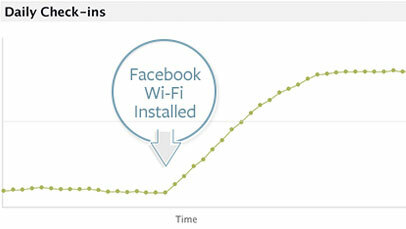 Facebook WiFi works with any new or existing Technaut Wireless LAN network. Let us select the access point that meets your performance needs and install in the enclosure that best fits your physical environment. We will build, manage and monitor your wireless network from the Cloud. We can Enable the Facebook WiFi option and link to your Facebook Page. Customers simply check in to your location on Facebook to connect to free WiFi. People will also have the option of liking your Facebook Page. WiFi codes aren’t necessary and there are no new accounts to create. Customers can manually check in or choose a setting that lets them automatically check in whenever they visit your location. It’s easy to get started. Contact us today to discuss how to make your WiFi start working for you! *This solution uses your existing Internet connection to provide Internet Access via Technaut WiFi Access Points.